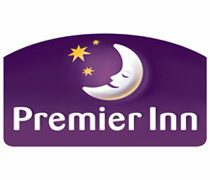 Premier Inn, a UK-based hotel brand of Whitbread, is working with plastic card manufacturer Plastic Card Services (PCS) to implement a keyless room entry system across all its new build and renovated hotels. PCS has already supplied some 136,000 high-tech MiFare RFID room entry cards, which allow customers to enter their rooms quickly and reliably. This also means Premier Inn’s customers benefit from shorter queuing times at the reception desk. Offering greater cost savings and durability, the new MiFare RFID cards are dirt and scratch-proof and can be re-encoded many times, so they last longer. Also, data in the card cannot be accidentally wiped by a smart phone, eliminating the need for customers to visit reception for re-encoding. Premier Inn has over 647 budget hotels and more than 50,000 rooms under its portfolio in the UK and Ireland.